The son of a gentleman farmer from Kent, the earliest record of John Hartnup’s employment is as the assistant to John Wrottesley at his private observatory in Montpelier Row, Blackheath. Construction of Wrottesley’s observatory began in 1829. Hartnup appears to have been taken on in that year as a novice and trained up in readiness for when the observatory became operational. From his subsequent writings, it is clear that Wrottesley had a high regard for the skills that Hartnup developed. Wrottesley’s initial observing programme consisted of observing the positions of a series of stars of the sixth and seventh magnitudes. Between 9 May 1831 and 1 July 1835, ten observations were made of 1318 stars. Wrottesley was awarded the Gold Medal of the Royal Astronomical Society for the completed catalogue was which was presented to the society in 1836. Although Hartnup was only Wrottesley’s assistant, in practice, it was he who had been the main observer and it was he who had had the responsibility for carrying out most of the subsequent reductions. Wrottesley was a founding member of the Royal Astronomical Society and was on good terms with the staff of the Royal Observatory which was located less than a mile to the north. William Richardson had constructed the pendulum of his transit clock and the staff had helped him determine the longitude of his observatory by making simultaneous observations of signal rockets. In 1833, while still Director of the Cambridge Observatory, George Airy had sought funding to reduce the Greenwich Planetary and Lunar Observations made between 1750 and 1830. Funding for the Planetary reductions was obtained on 3 August that year, with work commencing under Airy’s supervision at Cambridge on 27 February 1834. Airy was also responsible for supervising a new reduction of Groombridge’s observations, this particular project being completed at Greenwich by early January 1837. The Planetary reductions were worked on initially by just one computer, John Glaisher, the brother of Airy’s then assistant James Glaisher. Exactly when the work was transferred to Greenwich is not clear. 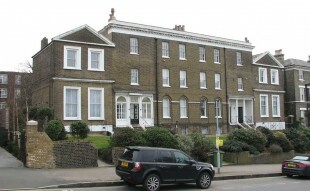 Airy was appointed Astronomer Royal with effect from 1 October 1835, but continued to base himself in Cambridge until the end of the year while alterations were made to the dwelling house at Greenwich. It is possible that John Glaisher moved to Greenwich at the time of Airy’s appointment, but it seems more likely that he remained in Cambridge. In February 1836 James Glaisher moved to Greenwich and John was appointed in his place as assistant at Cambridge. At this point, work on the reductions appears to have ground to a halt, being recommenced in mid 1836 when John William Thomas and John Hartnup were taken on to complete the work. In comparison to most of those subsequently taken on as computers by Airy, both Thomas and Hartnup were well paid, Hartnup’s salary of £100 a year being the same as the lowest paid assistants, but without the accompanying housing allowance. Thomas, who had had no experience of astronomical computing, was initially paid at the rate of 4s for an eight hour day (around £70 a year). However, once additional funding had been secured in 1838 to commence the Lunar reductions, Thomas was put in charge of the additional computers that needed to be recruited and paid at the increased rate of £140 a year (RGO6/531). 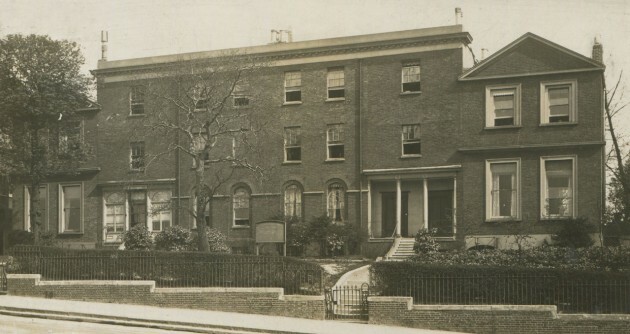 No doubt, Airy would have preferred to put Hartnup in charge of the new computers, but by the time he was in a position to do so, Hartnup had taken up the post of Assistant Secretary to the Royal Astronomical Society, on the resignation of James Epps in March 1838. In his new post, in addition to a salary of £80 a year, Hartnup is also believed to have been provided with accommodation for his family at the Society’s headquarters which at that time were in Somerset House. He also received a commission for selling the Society’s memoirs and for collecting subscriptions. The various financial accounts also show that Hartnup continued to do a small amount of work for Airy until the end of June 1838 when Airy managed to appoint Hugh Breen (Snr) to replace him. During his brief time at Greenwich, Hartnup worked on the historic Groombridge reductions as well as the Greenwich Planetary ones. In November 1841, with the support amongst others of Airy, Wrottesley, Lassell and Smyth, Hartnup was appointed as the first director of the Liverpool Observatory, his successor at the Royal Astronomical Soicety being another Greenwich computer, Richard Harris. Hartnup was initially paid £200 a year as well as being provided with a house. In 1851, this was increased to £300. In his new capacity, Hartnup was elected a fellow of the Society on 14 February 1845. The Liverpool Observatory was owned and operated by the Liverpool Dock and Harbour Board whose main reason for establishing it was to provide accurate time signals for the shipping in the docks (in much the same way as was done with the Time Ball at Greenwich), so that ships about to set sail could accurately set their chronometers. Before such a service could be brought into operation however, it was necessary to determine the longitude of Liverpool with as precisely as possible. In addition to providing time signals, Hartnup was also required to take meteorological observations and to test and rate chronometers. It was this last area that consumed most of Hartnup’s time and led to his invention of the ‘Hartnup balance’. In 1866 the observatory was transferred from the Waterloo Dock to nearby Bidston on the Wirral. With his health failing health, Hartnup resigned in May 1885 and died in October 1885 at his then home in London. He was succeeded as Director by his (only?) son, (also called John Hartnup). The latter died in 1892 following a fall from the observatory roof while making meteorological observations. For more information on John Hartnup’s time at Liverpool, his obituary (below) should be consulted.